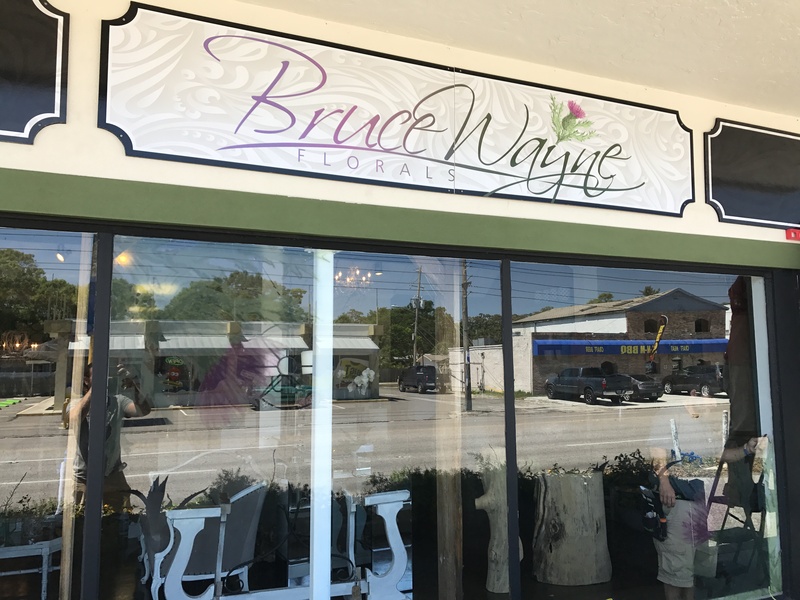 Bruce Wayne Florals has recently opened it’s flagship store at 2820 16th St. N. in St. Petersburg! 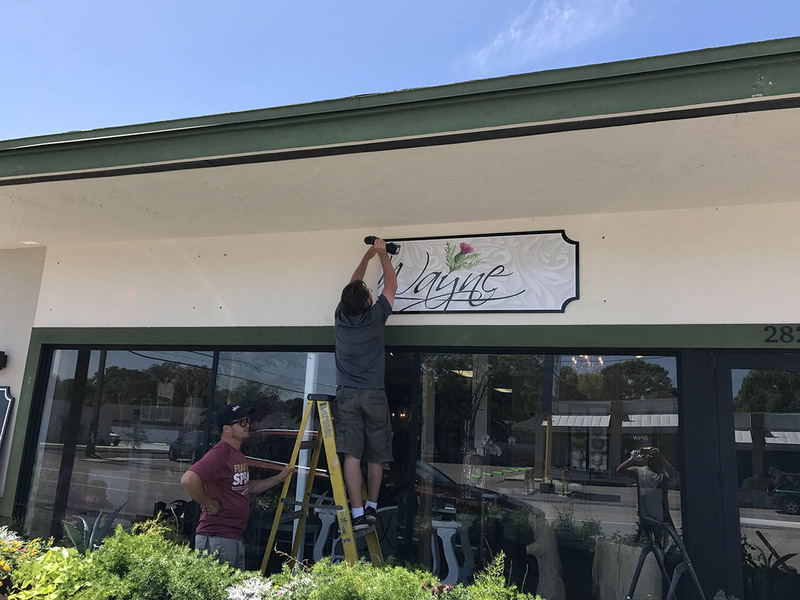 We were elated when they contacted our team at Hit Signs to help them update their storefront signage! 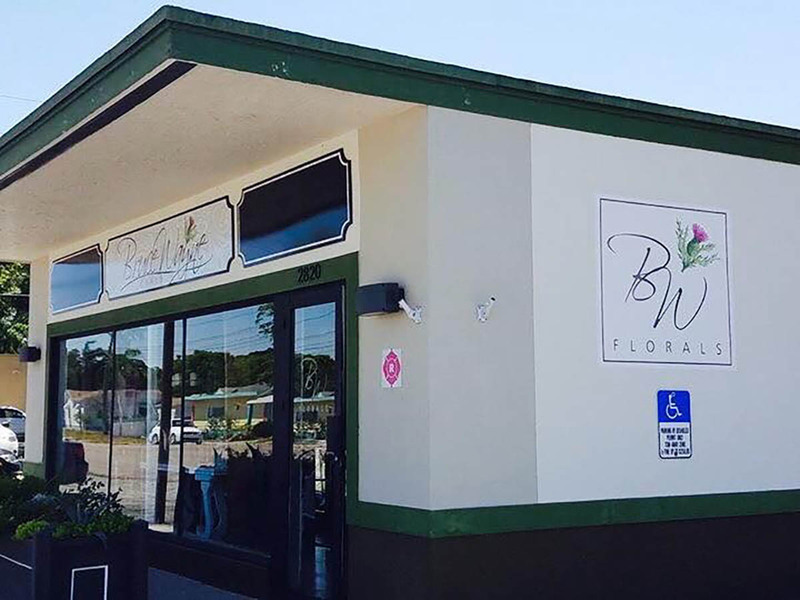 together a simplistic and stylish look for the new florist shop! 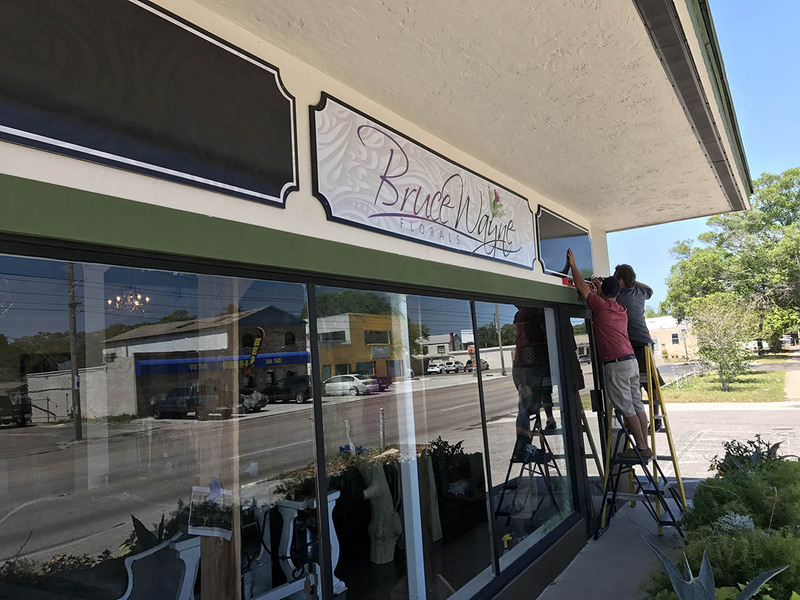 We were able to use the existing sign boards from the previous owner which is a wonderful idea to keep in line with any budget. After re-facing the sign panels, we added trademark logo thistle transparency graphics to the windows. 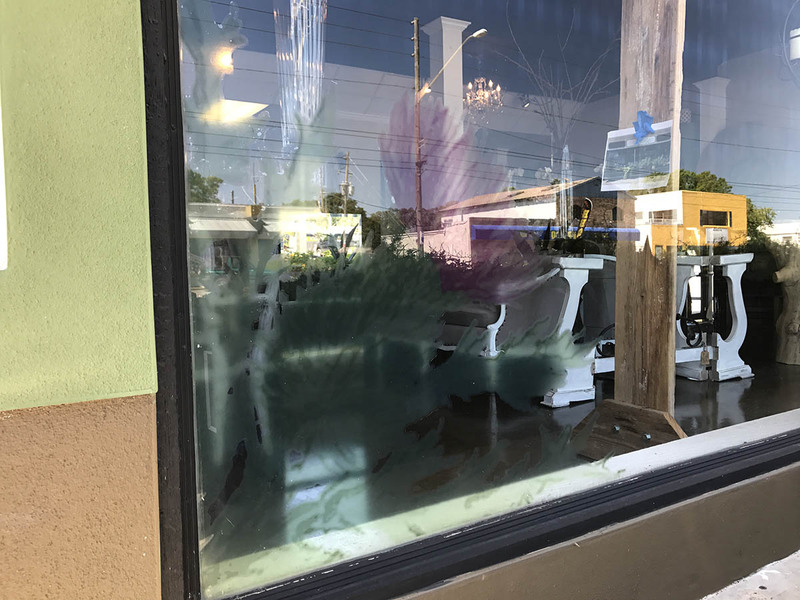 Bruce wanted to be able to still see in and out of the windows, but thought a bit of color would be nice and we agreed! We added a die cut logo graphic to the main door, and a larger than life logo graphic to the side of the building to give the building a bit more recognition to the traffic passing by. Bruce and his team were extremely happy with the outcome, as were we! 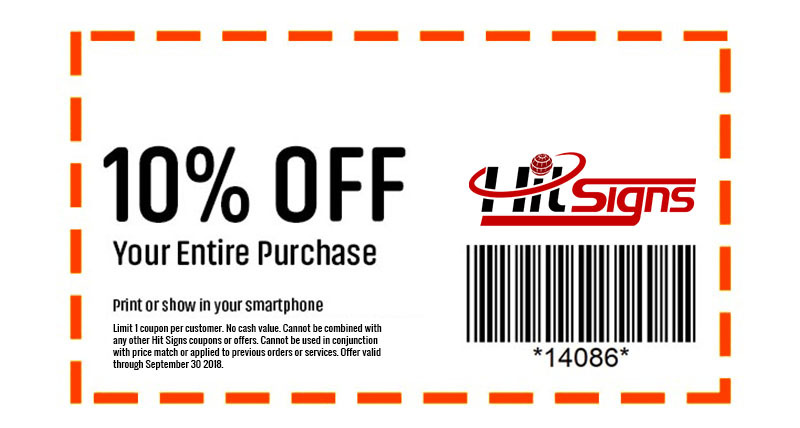 I think we have certainly made this new storefront makeover a HIT! 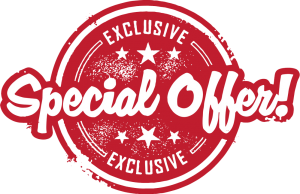 Take a look for yourself in the photos below! 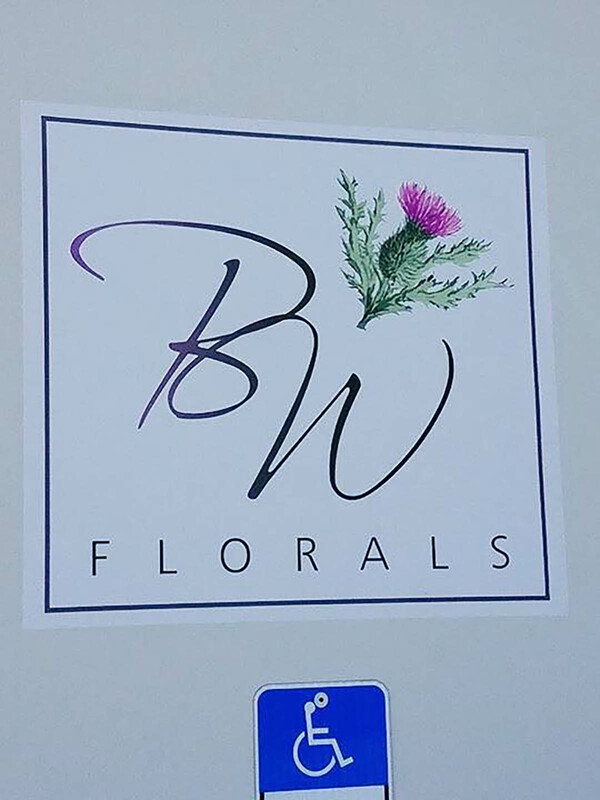 Please visit Bruce and his team at Bruce Wayne Florals and check out the amazing and beautiful things that they do! 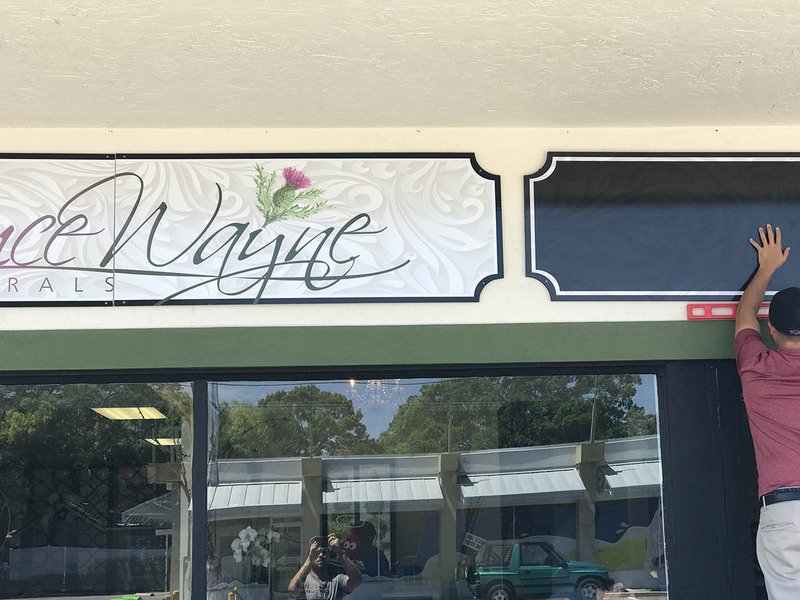 If you are looking for a fresh update to your existing storefront signage, or are in the need of graphics for a new storefront, please contact us today!